You are here: Home / Articles / The Austin SMUG learns about customization! The Austin SMUG learns about customization! The Austin SMUG group held its March meeting on Thursday, April 26. 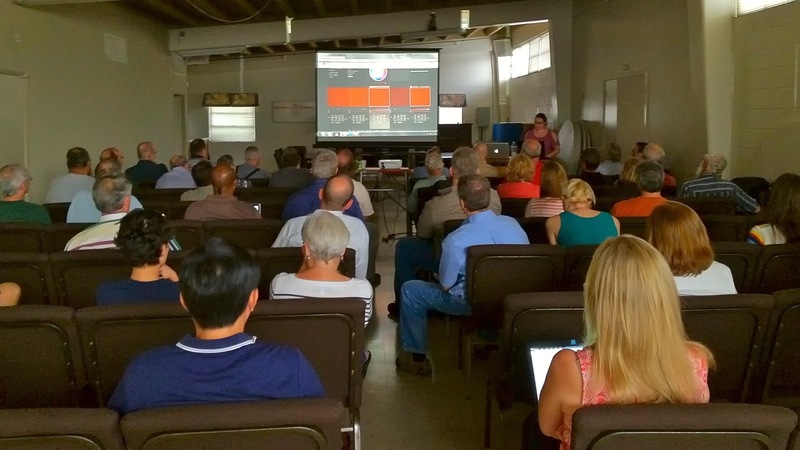 This was our largest meeting yet, with about 50 photographers in attendance at the Parish Hall of the Episcopal Church of the Resurrection in Austin. A lot of folks in our SMUG had requested some assistance with SmugMug site customization, and our requests were answered by a visit from Melissa Crain of New Skin Media. Melissa is one of SmugMug's Certified Customizers and her company specializes in creating advanced custom websites for every kind of photographer on SmugMug. 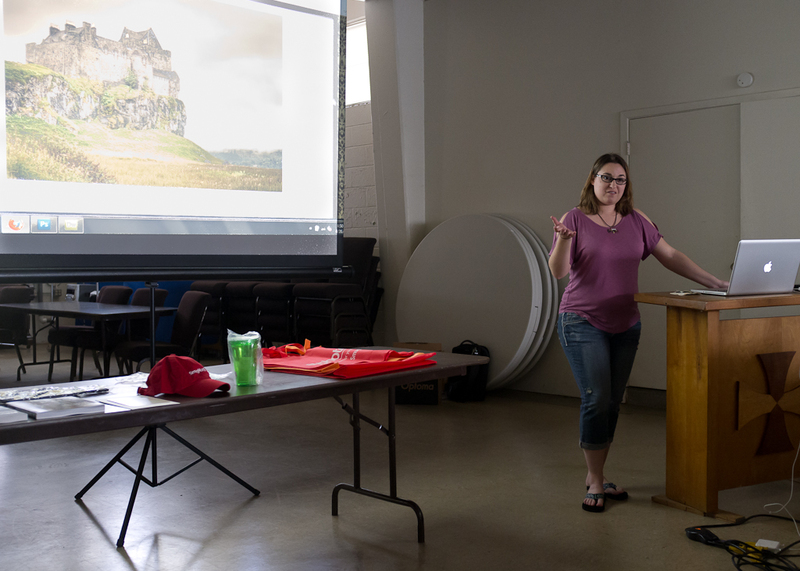 Melissa demonstrated some of the things that are possible on the SmugMug platform by showing off some of her clients' sites. I believe many of us in attendance did not realize the potential for customization that is possible with SmugMug. Melissa's customization work yielded some great results for her clients! Some of the sites were so radically different from what many of us were accustomed to seeing that it was almost hard to believe that they were customized SmugMug sites. She also showed us the layout that she uses on her own SmugMug site. Once you know the structure of your site, you can start to build the framework and fill in the details. A lot of the basic tasks of site structure are done in the SmugMug Easy Customizer. Melissa walked us through this fairly simple interface that allows you to set the overall look of your site. The Navigation Bar Builder is one of the most important customization options. This is where you will create links to direct your site's visitors to the different areas of your site, such as your galleries, services, and contact information. One tip that Melissa suggested was to just use a leading slash “/” when linking to your site's internal pages. This will prevent broken links should you get custom domain name for your site. 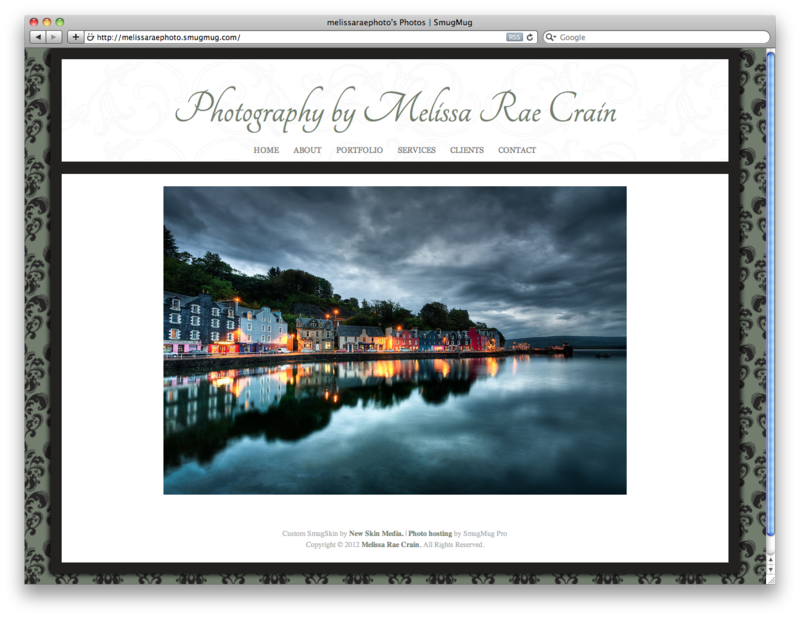 For example, instead of creating a link to “http://melissaraephoto.smugmug.com/Portfolio/Adventures” , just type “/Portfolio/Adventures/”. All of the pages on a SmugMug site are based on galleries. We learned that a gallery doesn't have to have any photos and that a gallery's description can be populated with HTML to create a custom content page. Using the description field for a gallery, you can create a basic HTML web page with text and photos laid out however you like. Content pages are just one of the many ways to customize the look of your site on the SmugMug platform. 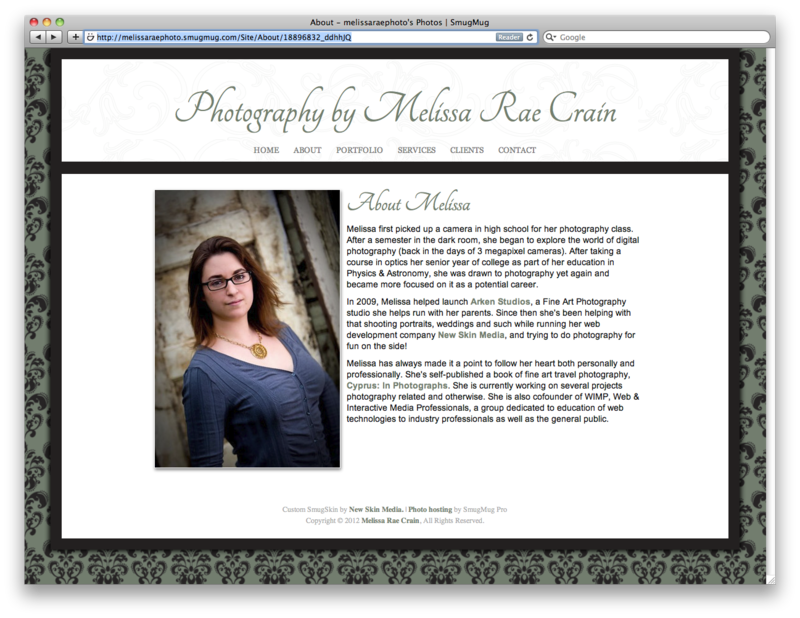 Melissa was kind enough to send out a CSS file with a few of her favorite customization tweaks to those in attendance. If you are handy with HTML and CSS, the additional possibilities are almost limitless. If you get stuck with a customization issue, help is available on SmugMug's customization forum. Coding in HTML or CSS isn't for everyone, and if you're not comfortable diving into site customization on your own, you can find certified SmugMug customization professionals like Melissa in the forum to give you a hand. Melissa also shared a couple of her favorite online tools that aid in site customization. Adobe Kuler is an easy to use tool for putting together a color theme for web sites. Wufoo is a form creation service that simplifies the addition of things like contact forms on your web site. Melissa's presentation really grabbed the group's attention, and she fielded a lot of questions. Site customization is not a topic that can be thoroughly condensed down into such a short time frame, but Melissa did give us a good start in tweaking our SmugMug sites. In fact, I ran home and put her content page lesson into practice. I was able to condense my cluttered navigation bar by consolidating my social networking links down to a single content page! Thanks to Melissa for visiting the Austin group and thanks to SmugMug for sending her out!